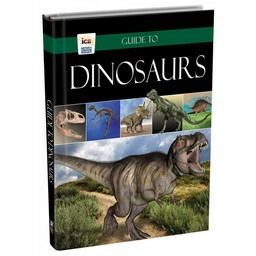 This adventure kit will transport you thousands of years into the past… a time when dinosaurs walked the earth. 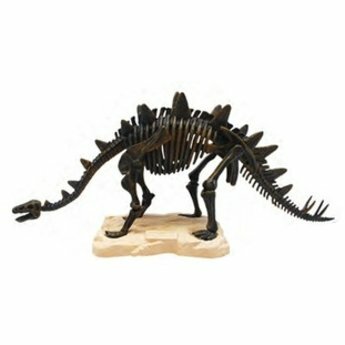 Get ready to dig, discover, design and display the armored dinosaur, Stegosaurus. 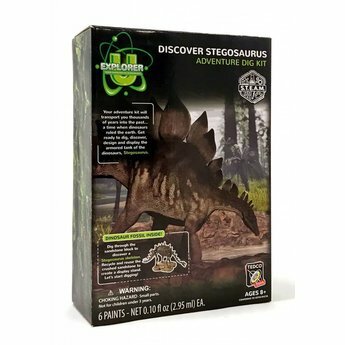 Dig, discover, design, and display stegosaurus, the armored dinosaur. 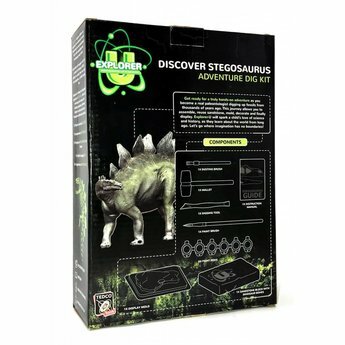 Excavate your dinosaur and make a base to display your dinosaur. Includes digging tools and full-color learning guide packed with fun facts to guide you on your journey. After excavation, use the broken up sandstone, water, and the enclosed mold to make a base to display your dinosaur. Recycle and reuse! 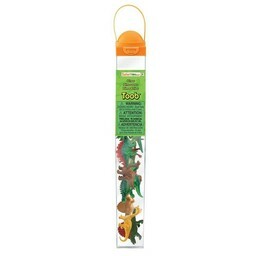 Add creative accents to your dinosaur and display base with the enclosed paints. The assembled dinosaur is 10.5″ long.